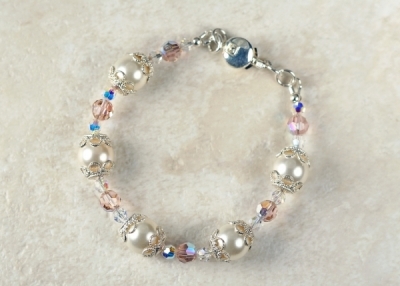 Limited edition bracelet accented with ivory Swarovski pearls and rose crystals. Brilliant solid sterling silver completes the piece. Fits wrists 5-3/4" to 6-1/4". Can be resized.